SOMS PTA is prepping for another year filled with fun events and meaningful parent meetings and workshops! Interested in volunteering for one of the dates below? Send an email to somspta@gmail.com. 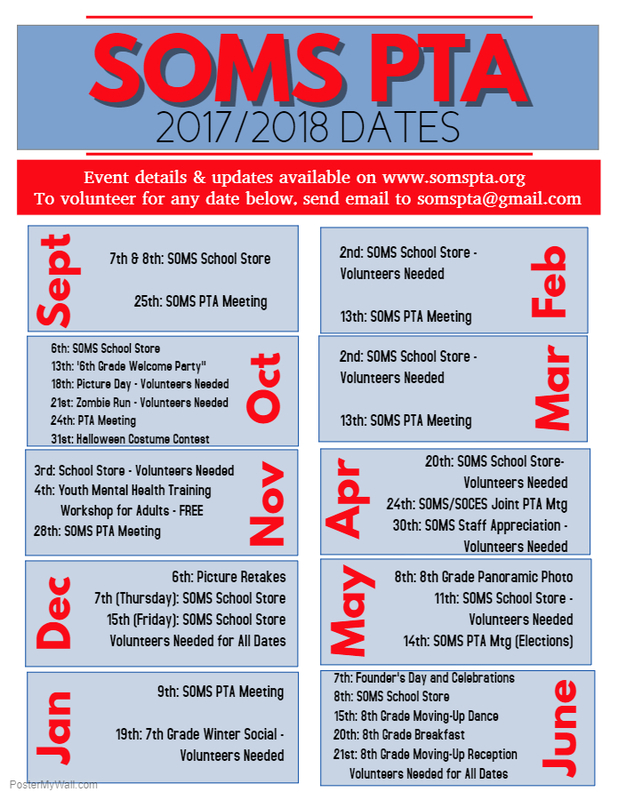 Don’t forget to join SOMS PTA – your annual dues help us support the Middle School students. Online registration available here: http://somspta.org/membership/ or you can print a form and return to the SOMS Main Office.